*I cussed, and then cursed my inability to be online on WhatsApp. My friend and I decided to meet at a spot and go together. By some divine intervention our cabs got cancelled after having been allotted one. Two different cab companies at that. At 4.45 pm we’ve plonked our pretty selves in rickshaws from two opposite directions. At 5 pm we’ve sat in the cab and prayed to the gods of Mumbai traffic to be kind. We promised to put on happy faces the next time we were stuck in bumper to bumper traffic. But today, we had to do it our way. The gods obliged till Worli Sea link. Beyond that, I think, was not in their area of jurisdiction. 5.45 pm and we were sweating in an AC cab. Will we, won’t we? Should we simply turn around and return home? 6.30 pm we were outside NCPA gates, largely due to our desi Lewis Hamilton who drove like there was no (show) tomorrow. We flew in, took our tickets and at 6.40 pm as we walked towards our seats, he walked unto the dais. 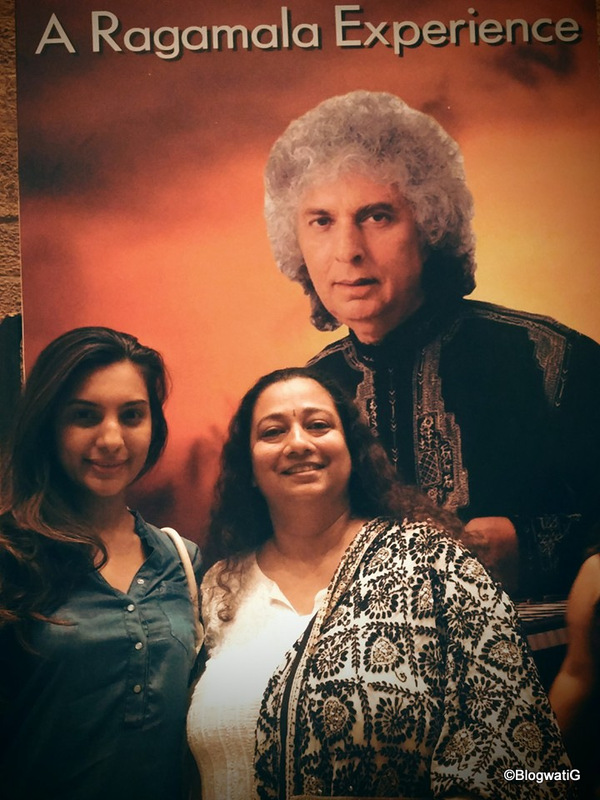 We were going to see Pandit Shiv Kumar Sharma LIVE! Regal to the core, he looked majestic with that silver mane. As he acknowledged our presence with a Namaste, he proceeded to ask how many of us had the knowledge of the ragas. A few hands went up. There was reverence in our silence. 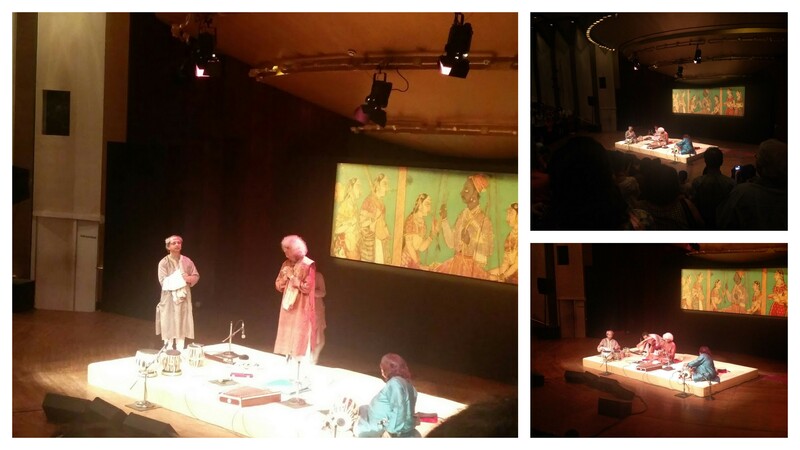 Pandit Shiv Kumar Sharma mesmerized us for an hour and a half. His movements on those musical strings could only be poetry in motion. Gentle, stern, playful, teasing, cajoling and rejoicing all at once and then some more. This was love in its purest soul. The joyful mirth between him and his accompanied artists as they had a jugalbandhi can only be described as manna from heaven. They were all in this together as equals. There was this one time when he scraped the stringed instrument, pretty much how we would if we had something stuck to the frying pan. Oh, the symphony that reverberated in the auditorium, I could hear my heart beating in taal. The evening progressed in seamless fluidity. As all good things are known for, this evening too came to an end. Pandit Shiv Kumar Sharma acknowledged his audience, and phone cameras came out in a feeble attempt to capture what we had just witnessed. And then I remembered, at the start of the event we were requested to not indulge in our photographic skills and embarrass the artists. And believe it or not, not a single camera flashed during the show. I heard not one plastic bag rustle nor a singular phone ring. As an audience we had been one with the artist, respecting his art, his space, his time and most importantly acknowledging our need to sometimes just be. When I tucked myself in bed that night, I wondered what was my strange fascination for the Santoor. Of all the musical instruments, why do I find its melody so pure and soulful? And then I pulled a page from my childhood. Chandni and Lamhe – two of my favourite movies of all time. Music by Shiv-Hari, Pandit Shiv Kumar Sharma and Pandit Hari Prasad Chaurasia. In fact, the movie Chandni was a turning point in my life as my first ever solo dance performance in school was on its chartbuster – Mere haathon mein. When I followed it up with the instrumental theme ( which was a rage back then), I went the whole nine yards with the white outfit et al. Those were internet-less days and we did not have cable TV. The only way to learn the dance was to hire the VCR and the video for an hour, learn the steps between rewind and play, and memorize the steps by writing them down. 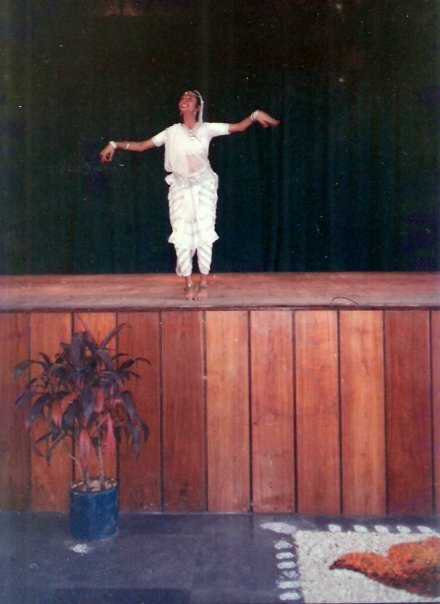 That I had learnt Bharat Natyam helped. And I had a sibling to do the stop-play-rewind rigmarole helped even more. I realized that Shiv-Hari made me fall in love with music, dance and most importantly, myself. I loved the stage and the stage loved me back. Even today when someone recollects one of my dance performances, it brings the widest smile on my face. Music has been a treasure chest in my life and dance has been the crowning jewel. So, my only wish for you – I hope you dance to music that fills your soul. Music, stirs your soul and takes you to a higher plane. The experience can barely be described in words. i am so glad you could have this opportunity ! Hugs to u for writing this one! Got nostalgic and emotional while reading this one. Nostalgic coz his was the last recital I attended two years ago in Delhi before I packed my bags for Mumbai. I still remember his face that evening, his curly mane and the words he spoke. He had requested the audience not to applause during the recital and not break the flow of the raga! His performances are special for his impromptu words. Santoor is the most soothing instrument to the ears and the Shiv Hari music in Silsila too transports me into a different world of emotions!